Our ears are very sensitive. When it’s really quiet around us, we can usually make out words or details happening outside a typical room. When you need privacy, or you want to prevent distraction, blocking all the sound coming through a wall is usually not feasible. Changing a wall to be highly soundproof is a construction project. Taking some of that quiet away is another logical solution. White noise, such as the sound made by a fan or sleep noise machine, is a great way to take the quiet away, without adding a new distraction. White noise is just random sound. It contains no content, and at low to moderate volume it doesn’t register with our brains as a distraction. 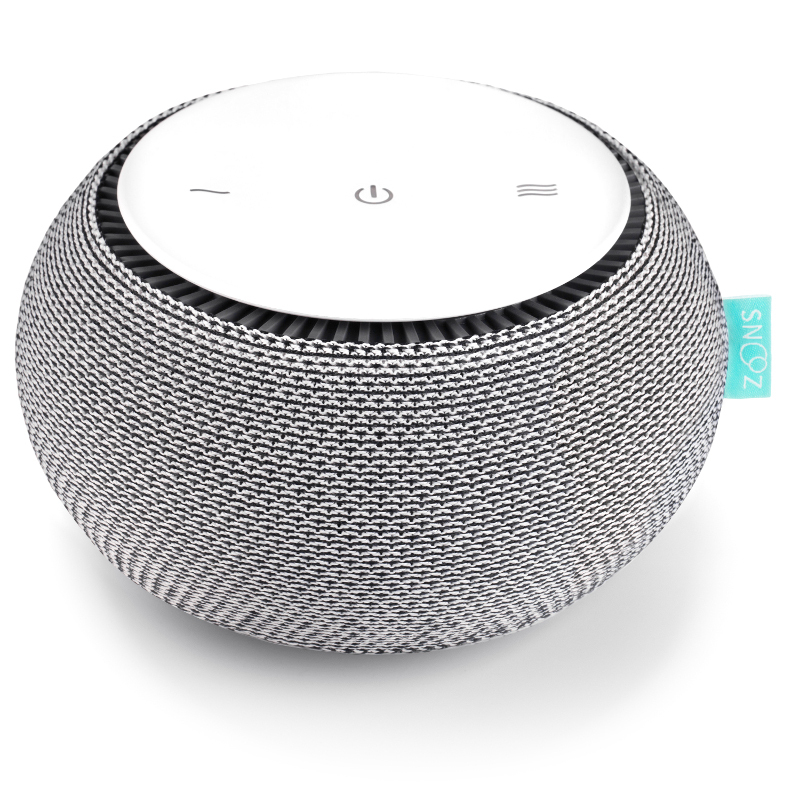 Our favorite white noise source is the attractive, modern SNOOZ white noise machine. Its volume is adjustable over a wide range to find just the right level. It’s analog (an actual fan inside) so there’s no harsh or repeating digital signature. We sell it for $79.99 with free shipping to the continental US. Put it in a waiting room so waiting clients don’t overhear private conversations from rooms down the hall. Put it in an office or near a desk to reduce distraction to the person working there. Put it just outside the door of a private meeting room so folks in the hall won’t overhear the conversation. Put it in a bedroom to reduce bothersome noise and improve sleep quality.